In France on May Day it’s tradition to present a loved one with a bouquet of Lily-of-the-Valley (or ‘Muguet’ as it is called in France). To celebrate May Day and the beauty of Muguet, I’ve pulled together two reviews from the archives to showcase my favourite Lily-of-the-Valley fragrances. Both come from entirely different eras, with the first being a vintage formulation of a classic made at time where the key materials that make recreating the scent of Muguet achievable were still readily usable, whilst the other is a modern interpretation that somehow captures the cool and aloof nature of the flower. They’re both entirely different but they’re also both wonderfully beautiful. Enjoy! Today is National Fragrance Day and to promote the importance of our sense of smell, The Fragrance Foundation are encouraging everyone to share their most poignant scent memories. Whether there is a particular scent that transports you to a time, place or person, or perhaps an odour that reminds you of something or someone important to you, we want you to share your scent memories. So, in honour of National Fragrance Day I have badgered a few of my family and friends into sharing some of their favourite scent memories. They really are beautiful and I encourage you to share yours too. Love it or hate it, it’s impossible to ignore Mon Guerlain and unless you’ve been hiding under a (rather fragrant) rock for the last month or so, it’s incredibly unlikely that you’ll have not seen or sniffed it. This is a Guerlain launch unlike no other – it is literally everywhere and the brand has gone balls to the wall (for want of a better phrase) in terms of promotion. Not only have they chosen Oscar-winning actress, director and human rights campaigner Angelina Jolie as the Mon Guerlain muse (an excellent choice IMHO), they’ve also worked with director Terrence Malick on the accompanying film. Not to mention the huge push in terms of press that the launch has had, which overshadows any other offering from Guerlain in the past. It really is a huge launch. This post isn’t going to be a review of Mon Guerlain. I’ve already put together my thoughts on the scent, in isolation from its concepts and history for my Escentual column, and you can read those thoughts here. I stand by the fact that I really like how it smells. To me, Mon Guerlain is a novel take on lavender, one that amps up the material’s natural burned sugar notes and folds it into delicious butter candy and musk. It really is lovely, commercial yes, but undeniably lovely and made with top notch materials too. It’s also very Guerlain as well, especially seeing as the house is well know for being the utter dons at making gourmand treats for the nose. Mon Guerlain is no exception and it smells great. So if this post isn’t a review, what is it? Well, Mon Guerlain is such a huge launch and such a game changer for Guerlain, I wanted to explore the commercial context in which it has arrived and what it may mean for Guerlain going forward. From a house that brought us Jicky, Shalimar, Mitsouko, L’Heure Bleue, Vol de Nuit and Chamade (I really could go on and on, and on) with little fanfare, Mon Guerlain says that Guerlain has finally arrived to play with the big guns like Chanel and Dior. And guess what? They mean business. As I’m sure you are aware, the Fragrance Foundation in the UK held their 23rd awards in London last Thursday. 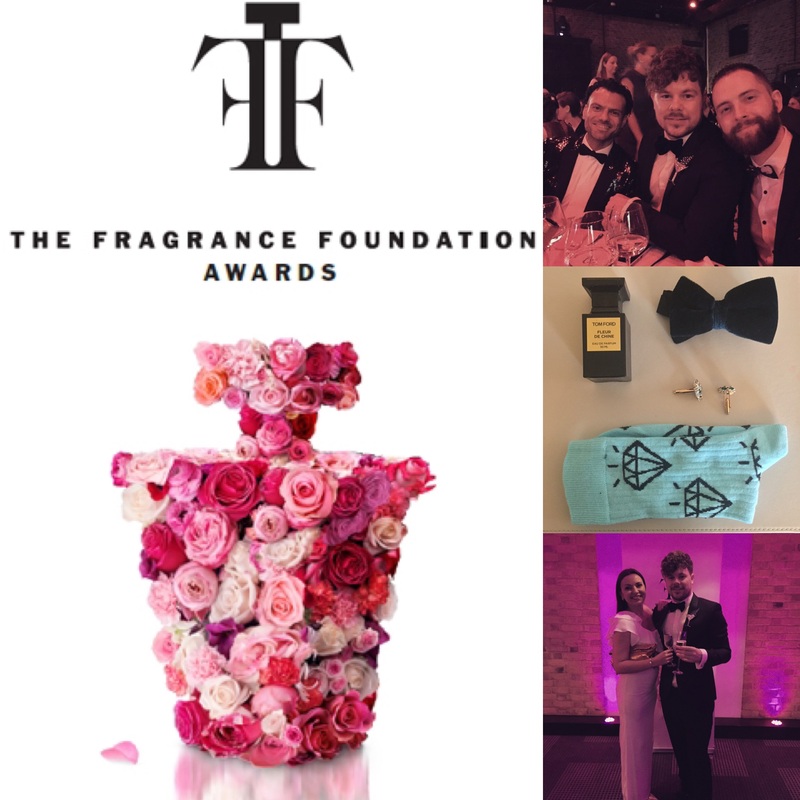 The Fragrance Foundation Awards, formerly known as the FiFi’s, celebrate the good and great of the fragrance industry, handing out trophies to the perfumes, home fragrances, ad campaigns and retailers that are the nuts and bolts, and cogs of the fragrance world. I was lucky enough to be invite to attend the awards this year. So on Thursday evening, I put on my tux, specially selected socks and some Butler & Wilson sparkle (as standard), and headed out to rainy London for the biggest, and most fragrant night of the year. The awards, which were compered by the masterful Natasha Kaplinsky, were as fun as ever and it was great to catch up with my perfume buddies such as Liam Moore of ODOU magazine, Liz Moores of Papillon Artisan Perfumes and Persolaise. Below you’ll find a slideshow detailing the night’s winners. Personally, I was happy to see Jo Malone’s Wood Sage & Sea Salt and Guerlain’s L’Homme Idéal pick up awards, but I was sad to see that Papillon didn’t scoop the award for Best Independent Fragrance (although, all three of the PP perfumes being shortlisted is a massive achievement), and I don’t think that Black Opium deserves anything other than an eye roll accompanied by a series of tuts. But that’s just my opinion, and I think you’ll find that the winners are a varied and interesting bunch to behold. Way back in April 2013 I wrote a piece for Escentual called ‘G is for Guerlain’. 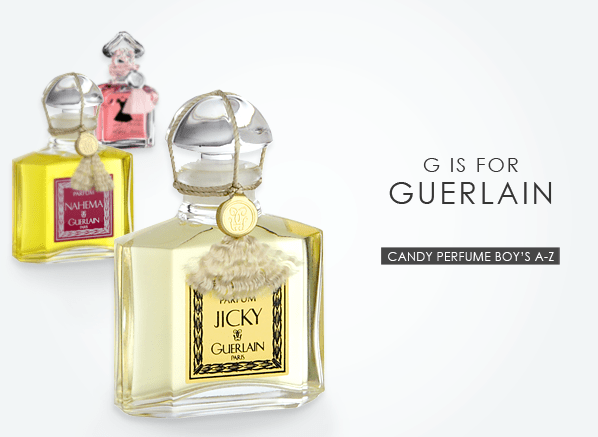 Keeping with this week’s Guerlain theme, I’ve unearthed the article from The Candy Perfume Boy archives, for your reading pleasure. As part of my ‘Escentual A-Z of Fragrance’, the piece took a look at the industry’s most historic and esteemed house, right from their humble beginnings up until the present day, under the ‘new guard’ of LVMH and perfumer Thierry Wasser. Guerlain is a house steeped in history and it has evolved with the times to retain one of the key players in the industry. Click here to read the piece. 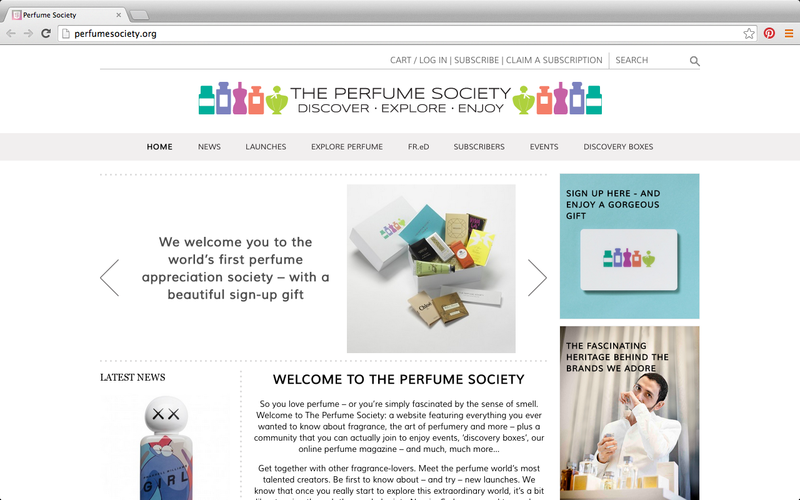 There’s a new perfume website in town and it’s called The Perfume Society. Joining the legions of perfume blogs, fragrance databases and smelly forums, this new site is a joint-venture between journalist and co-founder of Green & Blacks chocolate, Jo Fairley, and consultant to the perfume industry, Lorna McKay, and appears to be an immersive guide to fragrance, ranging from perfume news to insightful guides to ingredients, fragrance families and perfume houses. “We’re much, much more than just a website: we’re a also a subscription organisation for perfume-lovers, offering events (including ‘meet the nose’ events), courses, sampling opportunities, and a beautiful regular downloadable magazine, The Scented Letter.